Which military entitlements does the court look at to help calculate child support payments? While I am not licensed to practice law in your state, I can give some general guidance on this issue. Many states use a very broad brush in calculating income and usually start with a parent’s gross income. This starting point usually means gross income from all resources even if they are entitlements that are granted to you by virtue of your service to your country. Courts will often use a soldier’s basic allotment for housing, basic allowance for sustenance or even a clothing allowance for purposes of calculating child support. The theory is that the military provides these entitlements to soldiers to help pay for the basic needs in life. Even if you are provided on-base housing and eat in the mess hall, because these items may be reflected on your leave and earnings statement as a pass-through cost, they can be used for purposes of calculating child support. Keep in mind that if you are not currently paying support, depending on what branch of the military you are associated with, there may be regulations that mandate support of your family based upon your gross pay. These could be dictated and ordered by your commanding officer until child support is established. Remember, I am unable to provide you with anything more than divorce tips for men, so please consult a domestic litigation attorney in your area to obtain specific advice as to the laws in your state and how they impact your potential case. 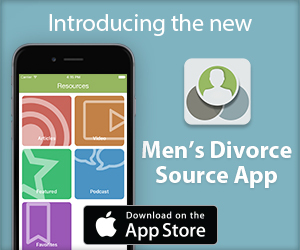 To arrange an initial consultation to discuss divorce rights for men with a Cordell & Cordell attorney, including Kentucky divorce lawyer Jason Bowman, contact Cordell & Cordell. Regarding 9-11 GI Bill and child support. I’m I’m going to school full time and also unemployed, can child support be deducted for child support purposes or is it covered under IRS publication 970 as earmarked payments setout specifically for the achievement of post secondary education and therefore not taxable and not considered income? Therefore not touchable?